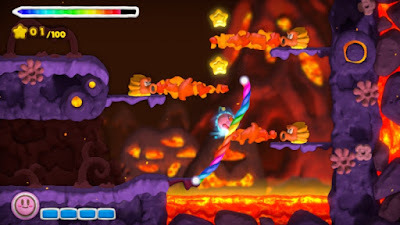 The platformer is my favorite genre in gaming, whether it is the classic 2D or more modern 3D variety. It only makes sense then that I devote an entire top five list to the best platformers of the past year. Thankfully, like last year, there were more than enough platformers to consider for this year's list. Read on, and see which five platformers released in 2015 satisfied my need to run and jump the best. I ended up liking Chibi-Robo! : Zip Lash a lot more than I thought I would. 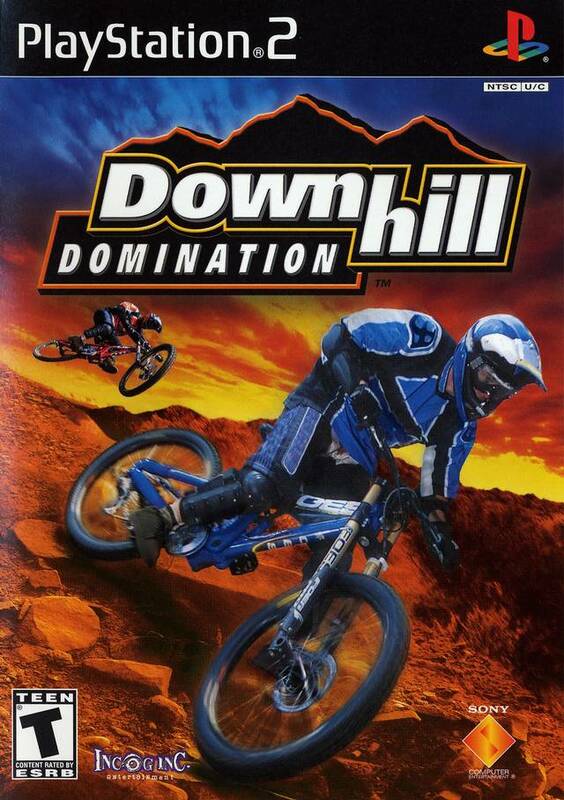 Annoyances like the level roulette and some vehicle stages hampered some of my enjoyment, but the gameplay and level design otherwise were so top notch that the overall product was more than entertaining for me. 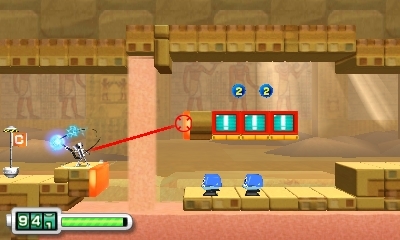 Using Chibi-Robo's plug to whip enemies, pull himself to faraway platforms, and interact with the environment were nice touches and great innovations to this 2D platformer. The levels were as creative as the challenging boss battles, especially if you wanted to find everything in the game, which isn't an easy task. It all makes for a 2D platformer on the 3DS that was way more likable than I was expecting it to be. Like Chibi-Robo! 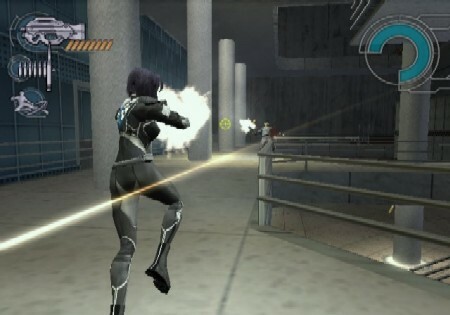 : Zip Lash, this next game appeared on my Top Five Biggest Surprises list. 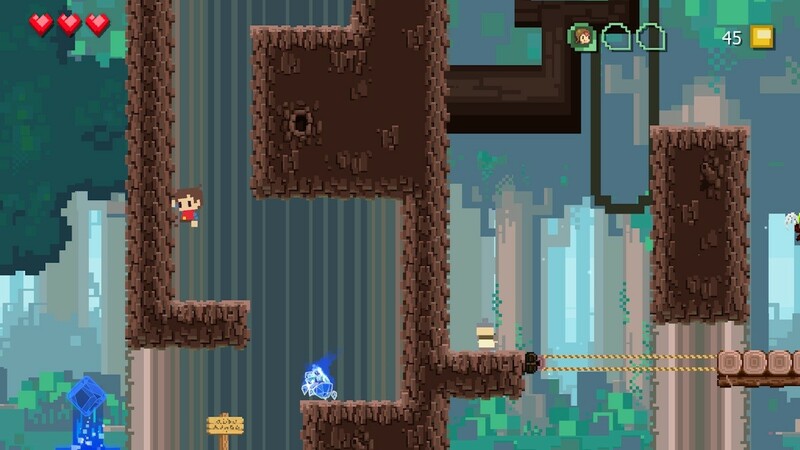 Adventures of Pip by Tic Toc Games was an atypical platformer featuring a really cool gimmick where the main character Pip would transform into different resolution forms, like 8-bit and 16-bit. Each form had its own benefits and drawbacks, and while transforming wasn't manually done (you had to hit a specific object to change forms), this allowed the developers to design levels that had you turning into the right form for the right task at hand. With multiple paths in levels, hidden townspeople to save, and incredible design, Adventures of Pip is my fourth favorite platformer from 2015. Did anyone call for a Sonic the Hedgehog fan game turned amazing unique platformer? Well, I actually didn't, and I ended up amazed by the end result that was GalaxyTrail's Freedom Planet anyway. 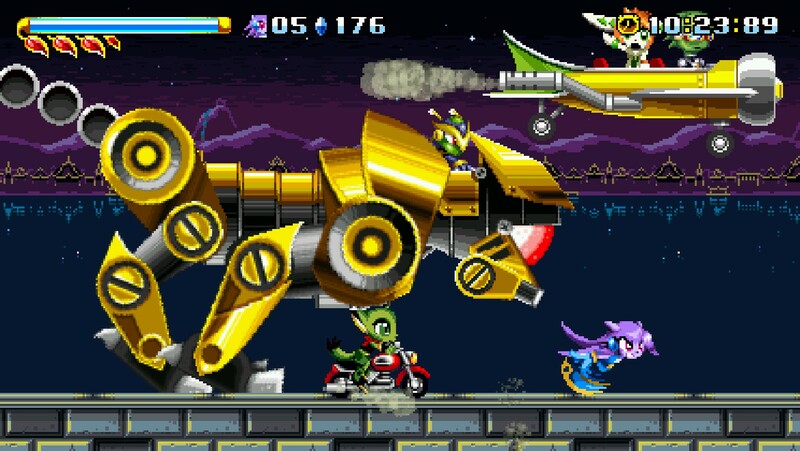 With sizable levels with plenty of loops, curves, ramps, obstacles, enemies, and secrets, Freedom Planet satiated my hunger for a fast-paced, action-based platformer that got rid of a lot of the gripes I had with 2D Sonic, such as the more recent inclusion of various bottomless pits. 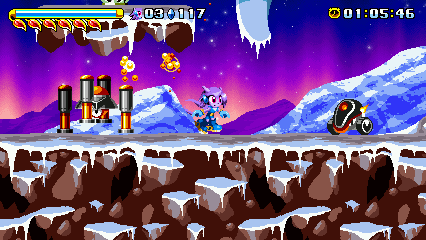 Freedom Planet lacked those for the most part, offering challenge through tough boss battles, other platforming peril, and dangerous obstacles. Freedom Planet wowed me immensely, and it makes me excited to see how the recently announced sequel will shape up. I argue that this next game is almost as good if not better than its predecessor, Yoshi's Island. 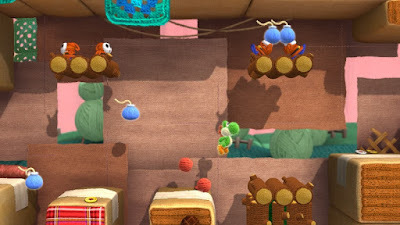 That might be blasphemy to some fans of the Yoshi series, but Yoshi's Woolly World is an astonishingly great game that rivals the fun, quality levels, and feel of the Super Nintendo classic. The levels are designed superbly, making those who seek out their secrets enjoy the game even more than they would already. 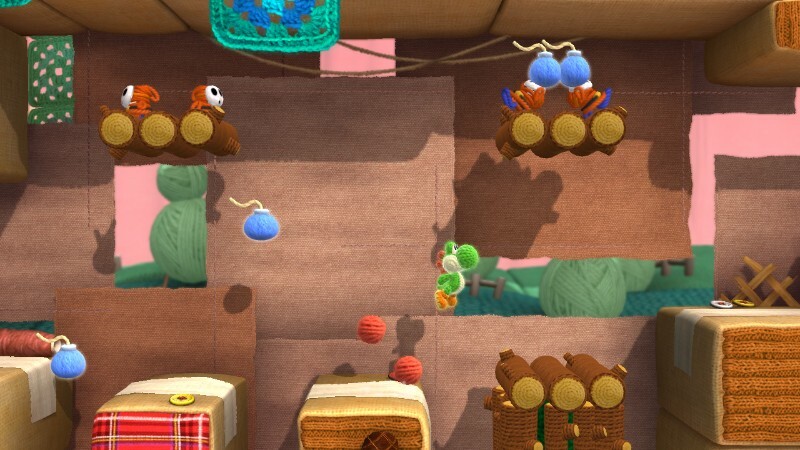 The level of creativity developer Good Feel showed with this game is off the charts, and it's a sizable reason why Yoshi's Woolly World is one of the best platformers of 2015. 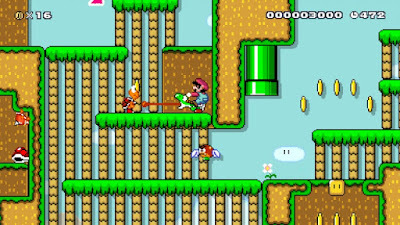 While the game is more of a creator than a platforming game, Mario's platforming prowess in Super Mario Maker is still as fantastic as ever. The tightness and responsiveness of the controls is pretty much unmatched across all four game types available in the package. 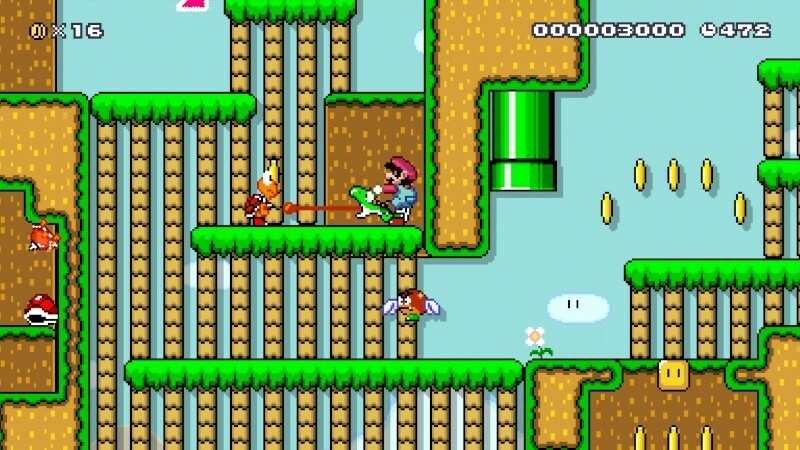 The added ability to create and play shared levels is an amazing bonus that has resulted in countless hours of playing and enjoying all the running, jumping, Goomba-smashing, Koopa Troopa-bashing goodness that is almost always found in the Super Mario series. So much of the world of video games, especially online, is so negative and full of complaints. I've changed my tune on how I want SuperPhillip Central to paint the industry, so I've been doing more positive articles than ones where I complain. However, I'll set that aside for just one night for my annual tradition of picking out a handful of disappointments of the year. These can be games, events, lineups, and other things of that nature. Everything here is just my opinion, so if you disagree with any pick, just realize that nothing I say is anything but subjective and my own personal thoughts. With that, let's see what disappointed me most in 2015. Bloodborne is seemingly a really tremendous game, and it released early in 2015. 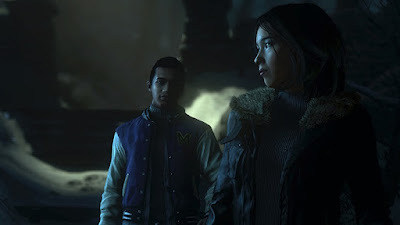 There is also the brilliant Until Dawn to enjoy. 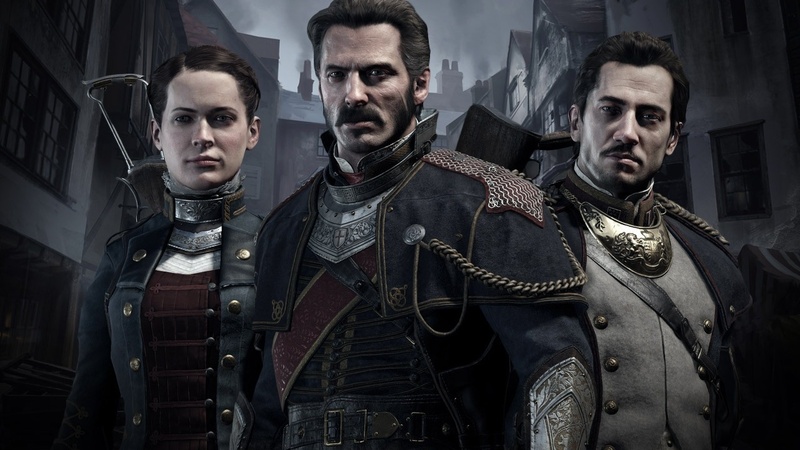 However, other than that, disappointments like The Order: 1886 and sales disappointments like Tearaway: Unfolded were what PlayStation 4 owners were left with this year. It doesn't really matter to those who own PS4s, as third parties definitely picked up the slack, but as someone who is still waiting to dive in to the platform and loves Sony's first party games, there was no real reason to pick up a PS4 this year, in my opinion. That said, Sony doesn't really need to release games, as the PS4 will sell no matter what it seems. However, next year is already exciting to me, with games like Uncharted 4 and Ratchet & Clank. 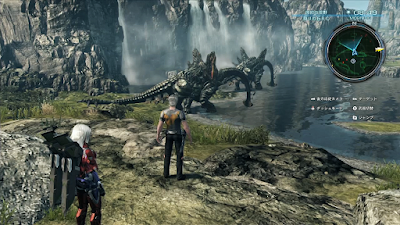 While 2015 wasn't the PS4's year to me, personally, the future looks really bright for the platform. Tomonobu Itagaki moved on from Tecmo and Team Ninja and formed Valhalla Game Studios. The studio's first project was Devil's Third, a game that saw many development issues, originally being a THQ property for the publisher went under. 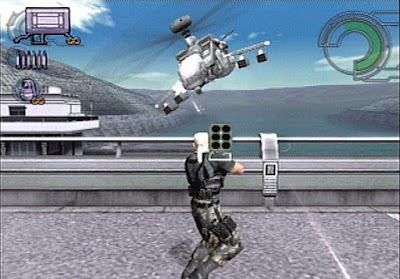 Nintendo ended up with the game to add to the Wii U's lineup of action games, and the wait for the release of Devil's Third, decidedly, was totally not worth it. Devil's Third is a collection of poorly designed missions ruined further by a clunky control scheme. Previews raked the game over the coals, and the reviews obviously didn't turn out well. 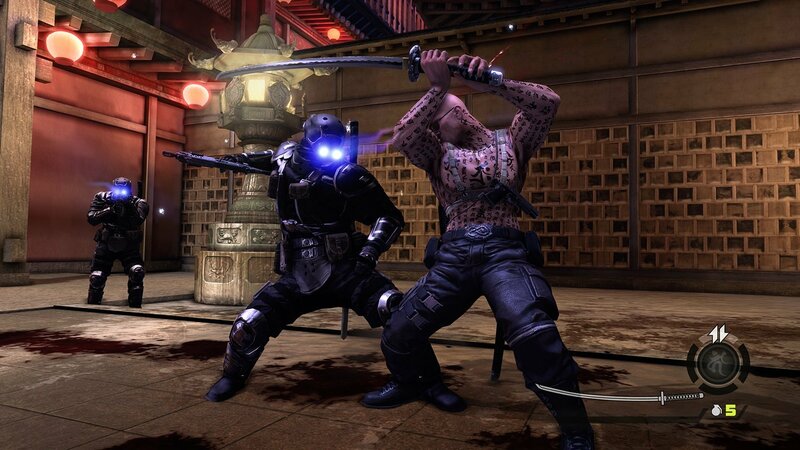 It's a total shame and a big disappointment that Devil's Third turned out to be a turd of a game. As someone whose favorite video game franchise is The Legend of Zelda, it hurts to type up this entry for the Top Five Biggest Disappointments of 2015. While The Legend of Zelda: Tri Force Heroes is by no means a bad game, it's a mighty frustrating one. There is trying to playing the game with randoms, and being stuck with idiotic teammates who quickly foil any plans for fun you might have wanted. The single player isn't as bad as I was led to believe, but it gets incredibly challenging, and not in an enjoyable way, to micromanage three separate Links. This is particularly difficult when anything involving balancing platforms that tip over with too much weight on them comes into play. The level design is quite good, so is the humor, music, and presentation. It's just the frustration from playing the game was sometimes just not worth it. This next disappointment feels like abhorrent example of Nintendo pushing amiibo before gameplay first. What you have with Animal Crossing: Amiibo Festival is a recipe for boredom, with a slow moving board game that delivers as many thrills and excitement as a piece of cardboard. 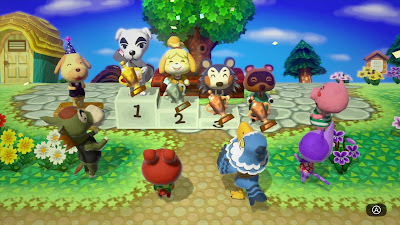 Sure, the amiibo themselves look cute and are detailed well, but the actual game they're attached to is merely a ploy to get money from Nintendo. Obviously even great games are ploys to get money from companies, but this game just took it to pathetic and pitiful extremes. The number one biggest disappointment hurt bad as someone who really enjoys Mario sports games. While the tennis gameplay is some of the Mario Tennis franchise's best ever, the egregious lack of content is utterly absurd. Online doesn't allow you to play against other people on your Wii U friends list, there is but one stadium total, there is only one real single player mode, and there is no real motivator to keep playing after everything has been unlocked (which just took me about five hours total to do). 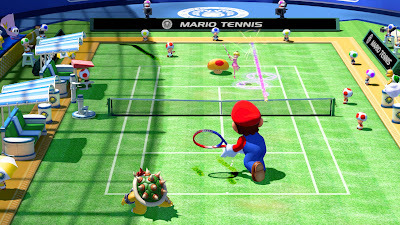 Again, the actual tennis is fantastic, but everything else shows that Nintendo rushed this game out just to have something for Wii U owners instead of Star Fox Zero, which was unfortunately delayed to 2016. My New Year's resolution as a gamer is to get through some of my backlog. It seems I've started quite a bit early over my holiday break. That's just fine and dandy as long as I'm having fun! 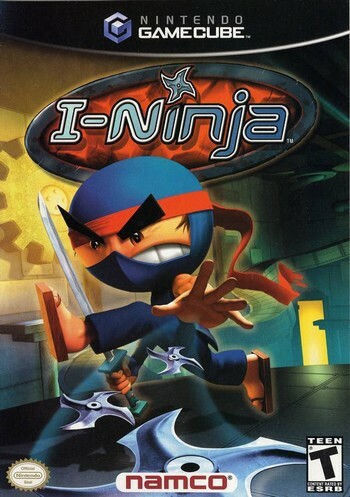 I-Ninja was one of the top games from the PlayStation 2 era that I wanted to try out, and I finally got the chance. The end result is two parts cool gameplay and one part disappointment. I love the sixth generation of gaming consoles. 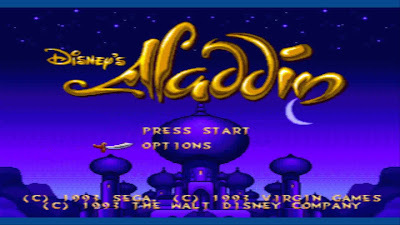 I think one of the main reasons aside from it being the generation when I was in high school is that there was a great range of low, medium, and high budgeted games available to play. There was an immense amount of risks being taken, and the variety of software was like nothing we had every seen. All three consoles, the PlayStation 2, GameCube, and Xbox (four if you'd like to count the Dreamcast, too) offered an amazing variety of games. Since I was in high school, I didn't have the money to look into in a lot of games across the consoles and handhelds I had. However, as I've grown up and prices of sixth generation software has gone down, I've been able to invest money and time into games I had missed out on. 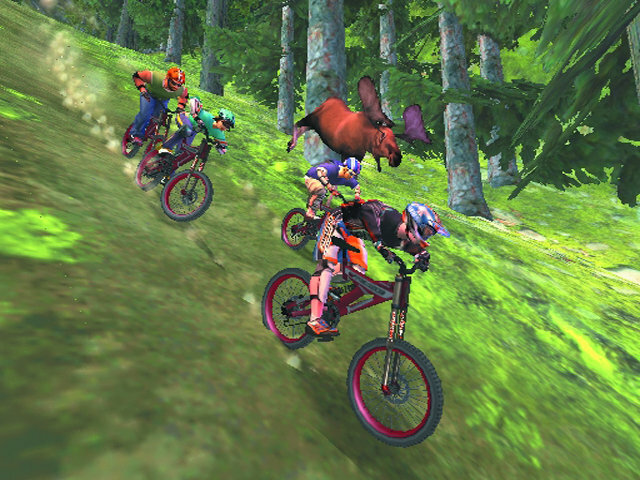 One of these such games is a Namco-published game called I-Ninja. 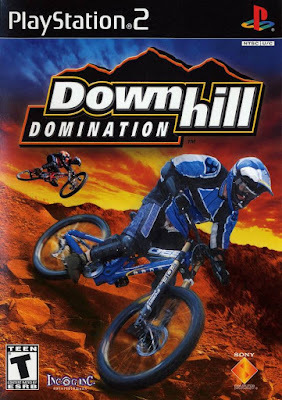 It always looked fascinating and fun to me, and while the gameplay really shines, some questionable design choices left me a bit flabbergasted and disappointed. I-Ninja's story is as basic as basic can get. 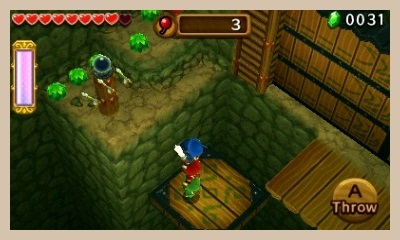 Upon attempting to rescue his sensei, our protagonist, simply referred to as Ninja, interacts with a special stone. It sets him off in a maddening rage, and he absentmindedly strikes down his sensei in the process. Quick to bounce back from a setback, Ninja's sensei informs him of a nefarious evil that is planning something horrid, and needs to be stopped. 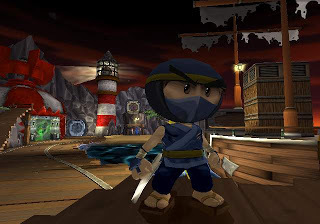 Ninja's sensei tags along Ninja's adventure, providing advice, level details, and comic relief. He and Ninja are pretty much the only two characters that get much screen time, as every other character is a one-off appearance that is over as quick as a sneeze. If you want character development, stick to your soaps.. or whatever you kids watch these days on your satellite radio or whatever. carve you up like a Christmas turkey!" 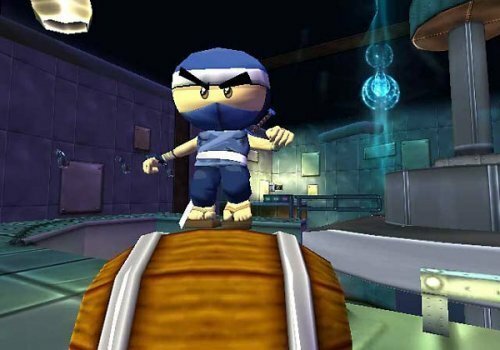 Ninja controls exquisitely, and it's a total blast to play as him. He slices, he dices, he carves a mean steak-- okay, maybe that last one is stretching the truth a little. The point is that Ninja has two sword maneuvers to him, a standard slice and a rotating spin slash. 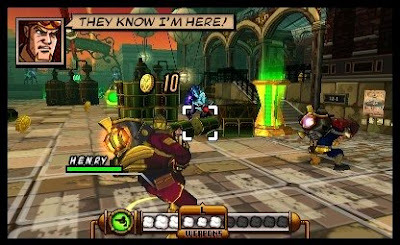 Enemies can quickly bring up their guard, so it's important to not just mash on the attack button and expect to win. Instead, you should circle around their back, or wait for them to initiate the beginning of their attack animation to deal damage. 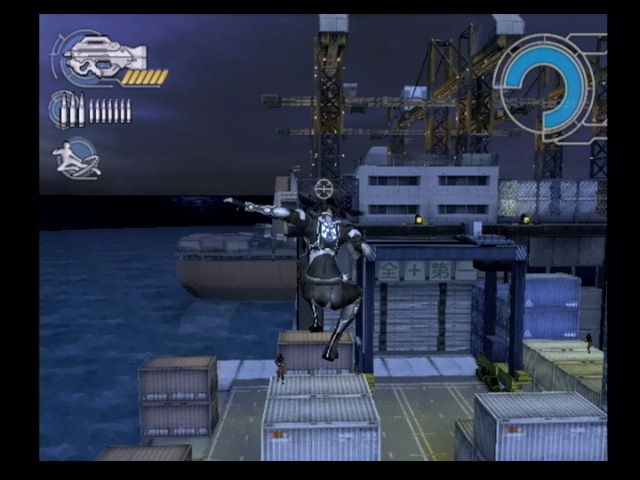 Besides being a killer ninja, our hero is quite nimble, too. He can perform a traditional double jump, he can twirl his sword in the air to cross small chasms and extend his distance from a jump, and he can throw shurikens and shoot darts out at enemies. Additionally, he's able to swing across gaps by hooking on to specific chain loops, wall jump, wall run, speed up walls, and so much more. Every move is available to Ninja at the beginning of the game aside from special moves like spells that improve attack and heal damage that are called upon by a tap of the direction pad in a given direction. Okay. You're just showing off now! Levels in I-Ninja are generally linear point A to point B deals. There is really no reason to scour these levels for secrets, as there are no other collectibles to be found besides the main one, Grades. These serve as each level's goal, having you perform a specific task to acquire them. While many are just "get to the finish", some are more interesting, like riding on top of an explosive barrel, avoiding flame jets, as you bring the barrel to a cage that it can destroy, netting you the Grade. destroys the Grade at the end. As you earn Grades, you become steps closer to upgrading your belt color, starting at basic colors like green, blue, and red and trying to get all the way to a black belt, though that is optional. When you belt is upgraded, so does your health, as well new doors in levels unlocking. Think of this like Super Mario 64's doors and their Power Star requirements. Instead of, say, 40 Power Stars to open a level door, instead you need a certain belt color or better to enter a level. This means that you can't just play normal levels once and never go back to them. You're forced to redo levels for different challenges. This is annoying because many of the challenges that are available in levels after they are beaten simple feel like filler, something to artificially extend the longevity of I-Ninja. There are just so many times that I can play the same linear level with the only changed rule is that this time I have to kill so-and-so number of enemies, or this time I have to beat the level before the clock runs out. The latter is obnoxious, because some levels are six minutes long. 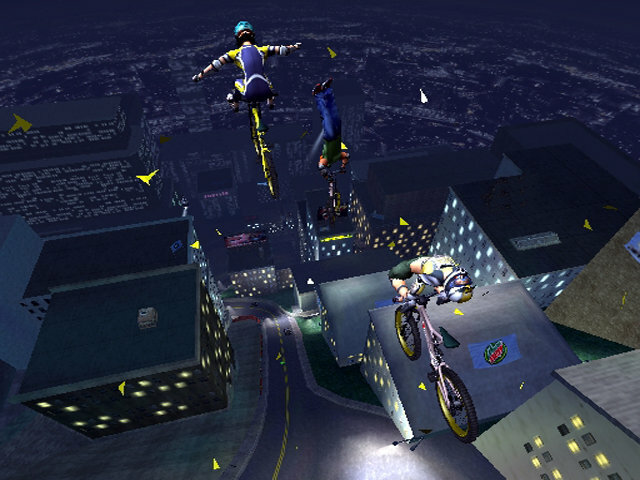 If you fail at these, guess what-- you just wasted six minutes, especially if you did well the whole level and only messed up one costly jump. 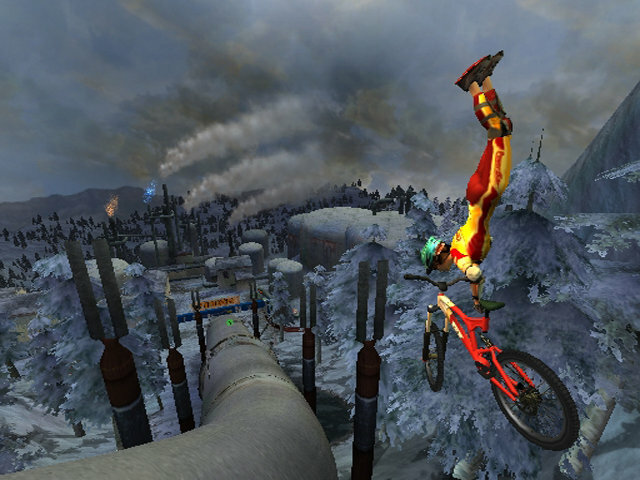 Not only are many repeated trips to levels rather tedious, there are also levels that just grate on the nerves. I'm mostly referring to stealth levels, where you have to tiptoe and stay out of the sight of sentinel robots. One view on Ninja, and they teleport him back to an earlier part of the level. This also undoes any progress that you made after the most recent checkpoint. 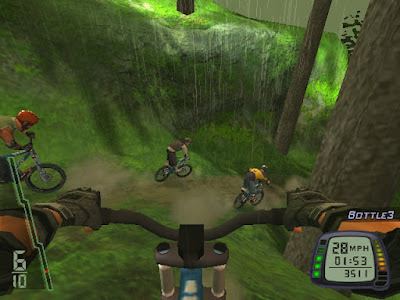 However, those levels still have a lot of fun to them. 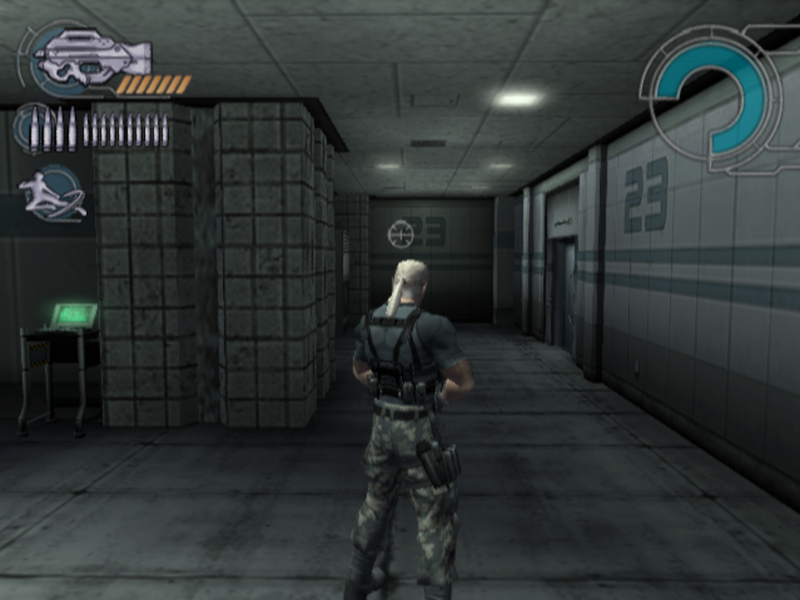 A level that doesn't, however, is one in the second hub of the game, where you have to man a turret, and we all know that turret sections are seldom not a slog. This one is a long four wave one, too, where one enemy ship that slips by your defenses means you have to restart it from the very beginning. DO IT QUICKLY! Egad! The creativity! Aside from typical levels, there are special challenge levels which are unlocked by paying NPCs in each of I-Ninja's five hubs. These task players with quick platforming challenges like grinding on a series of rails or even going full Super Monkey Ball and having you control an orb down an obstacle-laden course. These earn you Grades for finishing them as well. 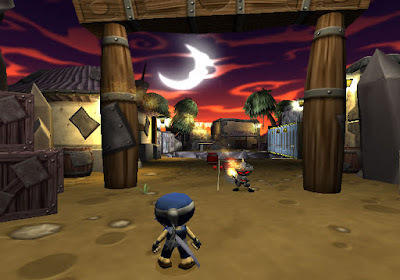 Unfortunately, you needn't seek out many extra Grade opportunities outside of the ones required to beat the game, as the reward for 100%-ing I-Ninja is not worth it whatsoever, a battle arena against multiple enemies. That's it. The bosses don't fare much better. Instead of playing to the game's strengths, its core gameplay, the slicing, dicing, and platforming of Ninja, the developers thought it'd be wise to throw in completely unrelated gameplay segments and tie them to the boss battles. The first boss is a clunky Punch-Out!! inspired affair, and the second has you piloting a submarine. 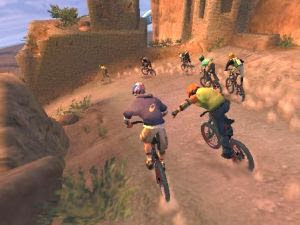 None of these resemble anything out of what the majority of I-Ninja has you doing, and it's baffling to me that the developers had the awesomeness that is the gameplay, and instead of crafting clever boss battles using the game's traditional action-platforming mechanics, the developers shoehorned in alternate gameplay styles that simply fall flat. I get that games need variety, and that's a box you can check for I-Ninja, but when it's at a detriment to the game, there's a problem here. 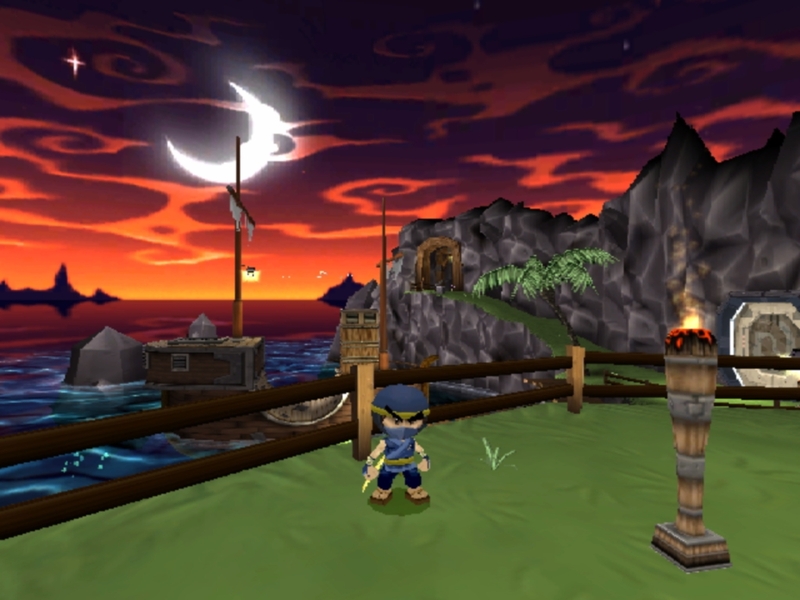 One of the hub worlds of I-Ninja. I-Ninja shows that the sixth generation of game consoles haven't aged as poorly as the one preceding it. Levels are full of interesting and impressive geometry, visual effects like explosions and debris are well done, and characters having a lot of personality to them in their animations and models. The music is a mix of rock, synth, techno, and other related genres. It sounds good, but I'm having trouble recalling anything from it. The voice work is enjoyable with Billy West doing his Stimpy voice as Ninja, which was a shock to the system, as his voice didn't really fit the cute looking Ninja at first. Meanwhile, the sensei delivers sage wisdom, usually mixing up metaphors to a humorous effect. It's a damn shame that I-Ninja's brilliant gameplay and controls are overshadowed by the bizarre design decisions of the developers. They had a really great thing going with the excellent gameplay, but the need for so much filler, and quite frankly, moments where I felt my time was not being respected, bring the game down considerably. What would otherwise be a fantastic game to recommend wholeheartedly is dashed by inept boss battles that throw aside I-Ninja's stellar action platforming for gimmickry, a camera that doesn't always behave like it should, and repeating the same levels over and over again with slightly different objectives each time. ...Did I mention it's a damn shame yet? The second of two lists being posted today as part of the SuperPhillip Central Best of 2015 Awards is here! 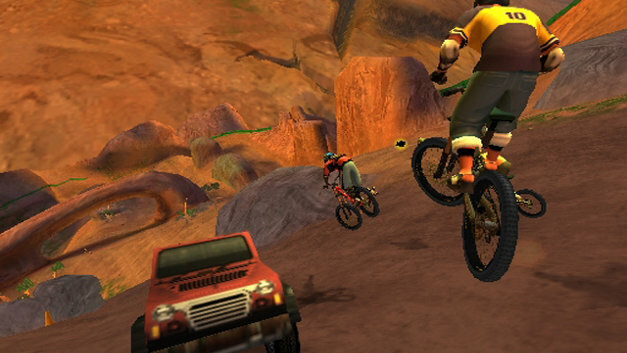 Some games come out of nowhere and floor you with their quality. You go in not expecting anything or expect something negative, and you're blown away by how good the game is. That is the modus operandi of these next five games, the biggest surprises in 2015. 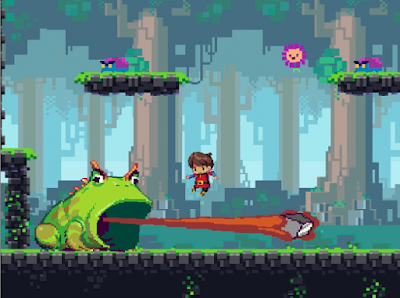 We start this list of five games with Adventures of Pip, a downloadable delight for a myriad of home consoles as well as PC. The game is a standard 2D platformer, but the real fun comes from interacting with different objects that turn the titular character into different pixel forms, such as 8-bit and 16-bit. The latter is great for breaking big blocks, though it lacks the maneuverability and is quite heavy. 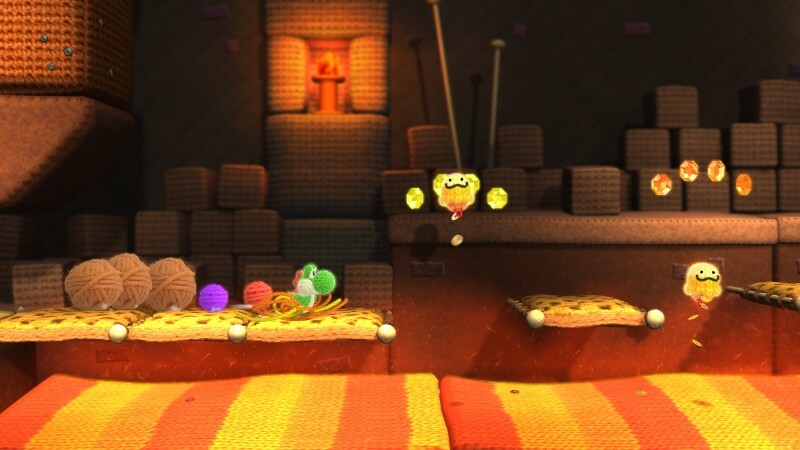 Many rooms of the game's levels require switching between multiple forms at once to solve environmental and platforming puzzles. I didn't doubt that Adventures of Pip might be good. I did doubt that it'd be one of my favorite releases this year. Another digital game, Freedom Planet started out as a fan project before turning into a serious indie game, somewhat similar in gameplay to the Genesis Sonic the Hedgehog games in some regards. I knew I would probably enjoy the game because of its influences, but I never would have dared to hazard the guess that I would like the game as much as I did. Yes, the levels drag on a bit too long, and they should have been split up into more bite-sized chunks. 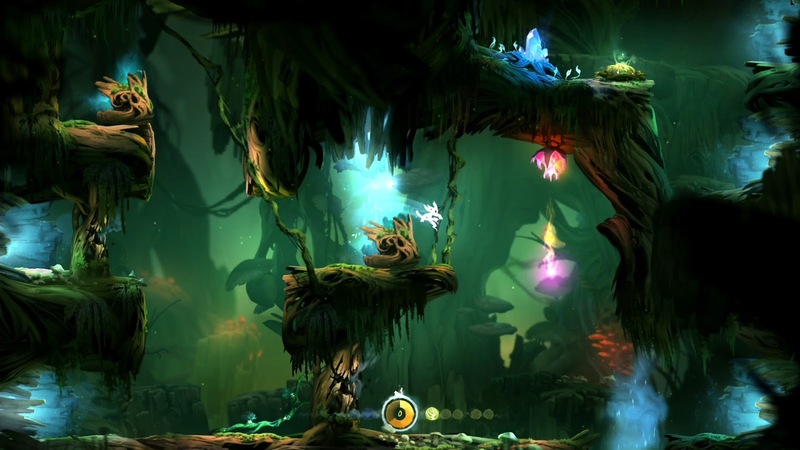 Other than that, I have no real complaints about this terrific and charming 2D platformer. After hearing and reading complaint after complaint about Chibi-Robo! : Zip Lash's level select system, I didn't think I would find myself so attracted to the game. I was wrong with my thought process, as not only can the level roulette be cheesed with coins or proper timing, but the actual gameplay is quite remarkable. 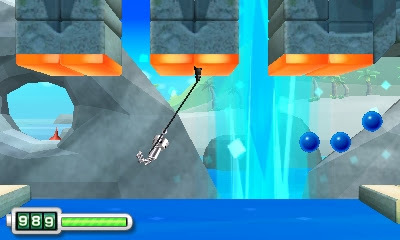 Using Chibi-Robo's plug to whip enemies into shape, grab onto ledges, and pull himself across chasms was innovative for this storied genre of gaming, and while the vehicle stages left something to be desired overall, ultimately I found much joy playing Zip Lash. Don't think of it merely as a game to sell an amiibo. It's a rather good 2D platformer. A choose-your-own-adventure-type game for fans of horror movies, filled with the typical tropes one would expect, along with some curve balls that many would not, Until Dawn was one of the biggest sleeper hits of the year. It proved to be an excellent title to add to the exclusives of the PlayStation 4, and became a popular game to stream for many players. 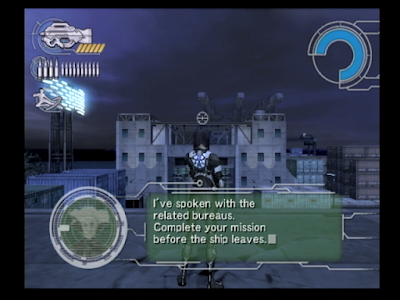 Every choice, no matter how simple, leads to the conclusion and affects the eight characters placed together in the game. 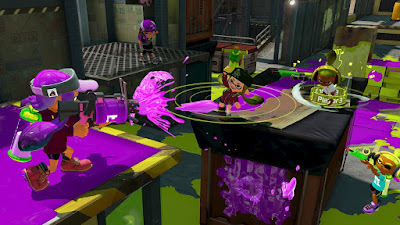 Between being a new IP, being on a struggling system, and having countless folks saying that the game would bomb, Splatoon managed to be a success. Not just that, but it also managed to be way more fun than it had any right to be. While the launch offered a handful of maps, the post-release content-- all free, by the way-- has added a seemingly endless amount of gear and weapons options, as well as a total of 15 maps thus far. Splatoon is as addicting and original a third-person shooter can get, and it's a total blast to dive into the mechanics and the hidden depth. No doubt the success of Splatoon has surprised many, including Nintendo itself. SuperPhillip Central seemingly is constantly talking about overlooked games. In fact, the site holds a Most Overlooked Games segment, detailing titles from current gen to past gens, console and handheld. Regardless, even with my best effort, titles slip between the cracks and fail to deliver impressive sales. 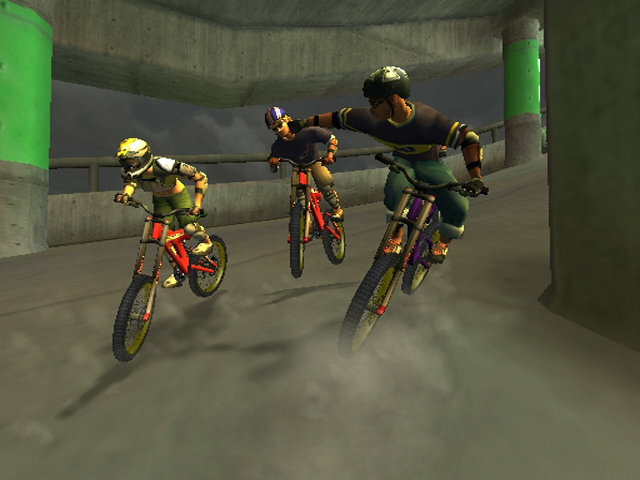 The five titles on this list are overlooked to varying degrees, whether by consumers or by gamers at large. Perhaps through reading this list you can be persuaded to try out one or all of these games you might have missed out on! The main issue with the first game on this list not seeing as great of success as it could have was that Nintendo of America delayed the release compared to both Japan and PAL territories. While Yoshi's Woolly World released in those two areas of the world in the summer, North American gamers had to wait until this past fall. What further complicates things is that a lot of critics blew through the game, not bothering to go after collecting the well hidden goodies, which is a totally different and better experience than just beating the levels. 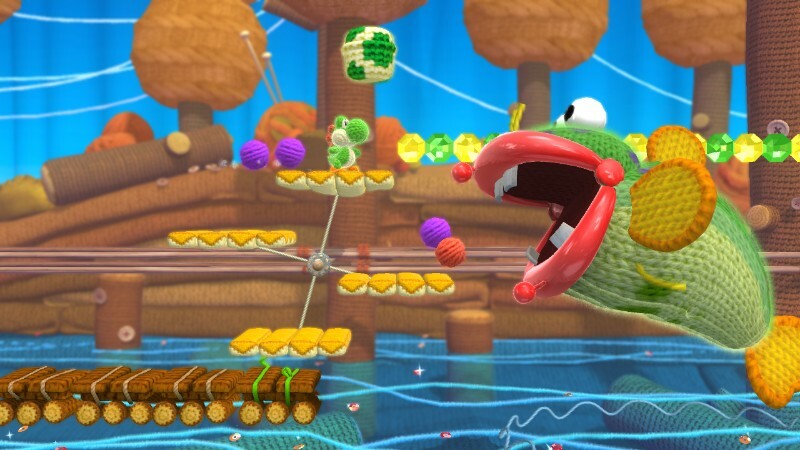 It is these reasons that Yoshi's Woolly World makes it to the starting position on this Most Overlooked Games of 2015 countdown. 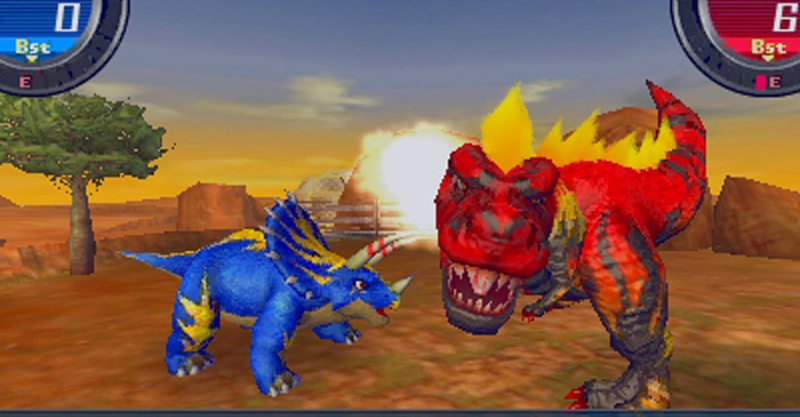 Battling dinosaurs-- excuse me-- Vivosaurs, like Pokemon is a very exciting prospect. It didn't lead to sales, but it did have an awesome commercial (your mileage may vary), so at least there was some kind of victory to be found. Exploring multiple parks, unearthing fossils buried deep in the soil, bringing said fossils to life as powerful Vivosaurs, and watching them battle one another in fierce combat made for some enjoyable times for SuperPhillip Central. Unfortunately, all this did not make the sales of Fossil Fighters: Frontier anything to boast about. This is disappointing, as the game is quite entertaining and should have had a great impact especially with the kiddies. 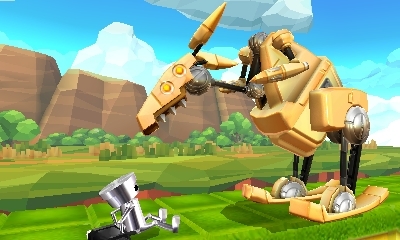 Nintendo developers said that this game was essentially Chibi-Robo's last chance to shine. Sales were less than impressive, to put it kindly, so we might not be seeing Nintendo's small helper robot again for a while. A true shame, as the game was more than a decent 2D platformer, offering a unique hook with Chibi-Robo's whip that could pull him to far away platforms, defeat enemies, and nab collectibles. Rightfully so, Chibi-Robo! : Zip Lash was raked over the coals for its ludicrous level select system and some less than stellar vehicle levels, but if you can get past those two things (the former can be cheesed for maximum enjoyment), then you have a game that is incredibly capable and full of fun. 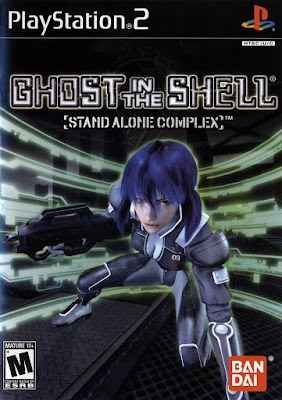 Platinum Games' titles don't jump off store shelves and rake in gigantic boatloads of money, but the developer is so successful and keeps getting work because they're absolutely fantastic at creating fun games. This is no truer than Transformers: Devastation. 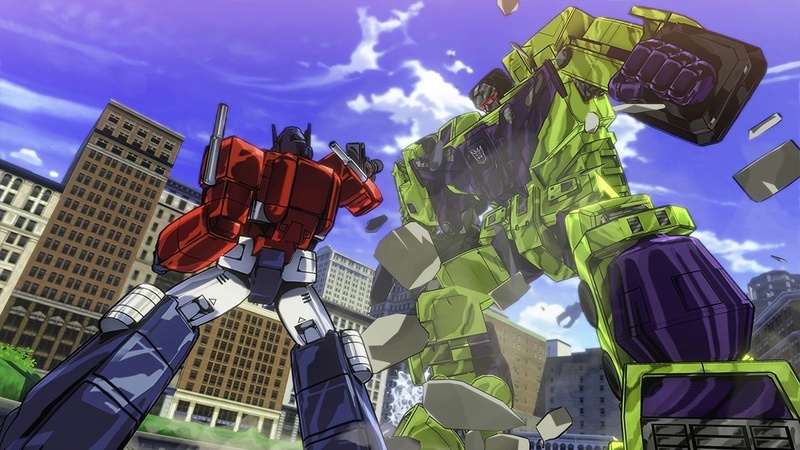 A Transformers game made by the developers of Bayonetta and Vanquish, to name a couple? While the mainstream audience wouldn't know heads or tails of who Platinum Games is and their body of work, gamers should have jumped at the chance to play this game featuring the robots in disguise. 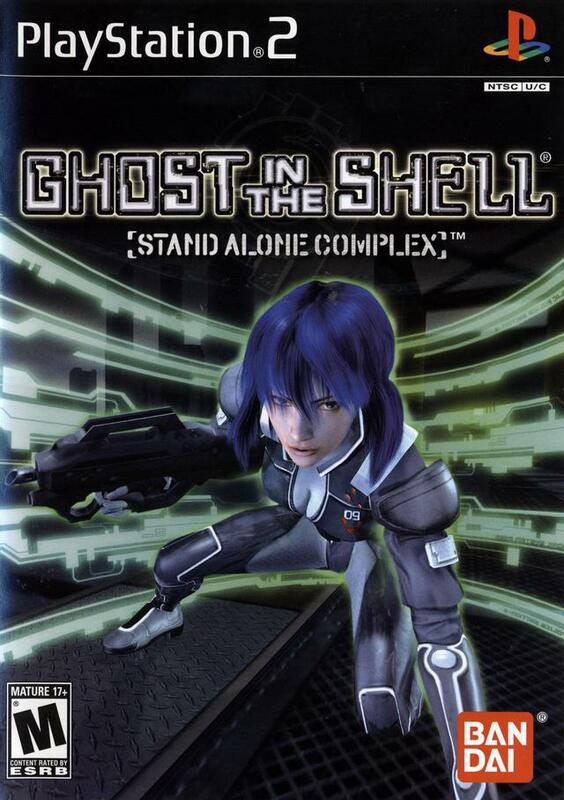 It's a phenomenal action game that shouldn't have been overlooked, but unfortunately was. An unfortunate side effect of having a demo that failed to engage players, Code Name: S.T.E.A.M. failed to light up sales charts in any territory. 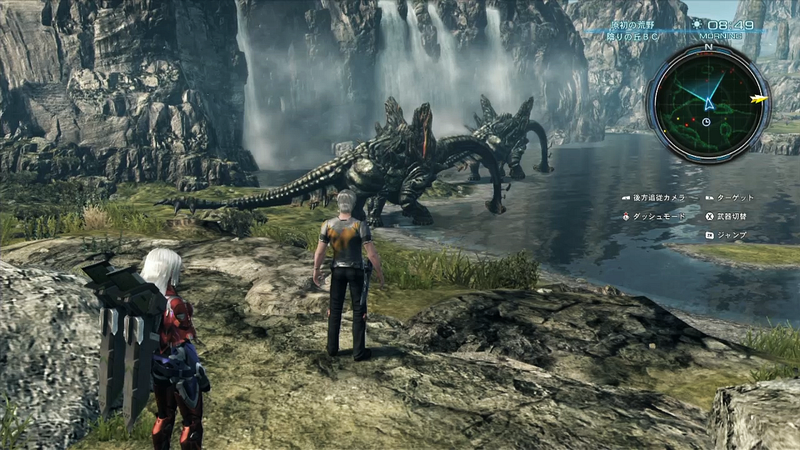 The demo put a lot of potential players off due to its slow enemy turns. This was understandably a big griping point for critics. 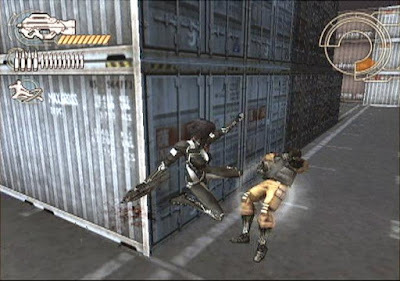 However, soon after its launch, Nintendo released a patch offering the ability to fast forward through enemy turns, making what was a tedious experience far less so. Still, the damage was already done and it was too little too late for this turn-based tactical title. 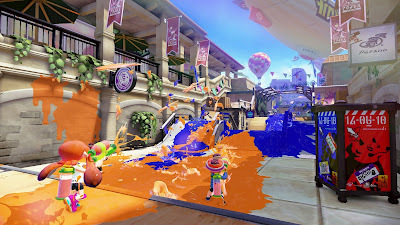 Nintendo gets a lot of grief for not coming out with a lot of new IP, so it was disappointing that one of their new IPs not named Splatoon didn't do hot by any stretch of the imagination. Let's take a quick break from the SuperPhillip Central Best of 2015 Awards! It's my pleasure to welcome you to the final SuperPhillip Central's Favorite VGMs segment of 2015! To cap off this year of great VGM goodness, I have a special edition to share. This week we'll be listening to music all from games on the Sega Genesis. You European and Oceania folks might know it as the Mega Drive. Regardless of what you refer to the system as, this edition of SuperPhillip Central's Favorite VGMs has got the old school Sega 16-bit tunes to it. We'll start off our Genesis journey together with some action-packed Gunstar Heroes. 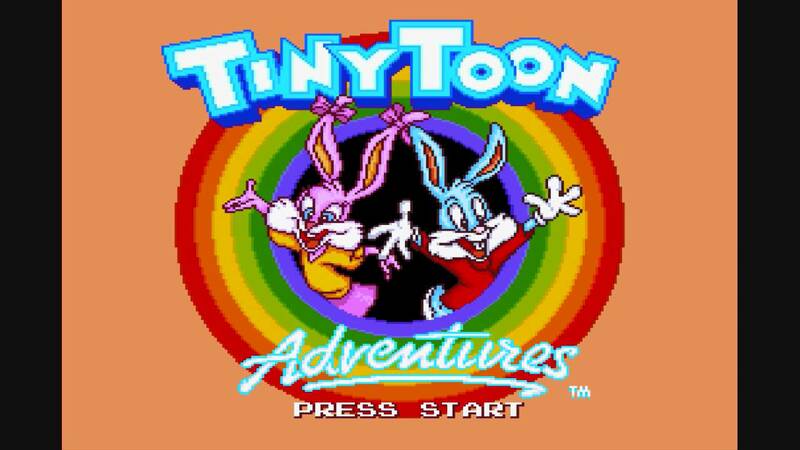 Then we'll have some platforming fun with Ristar, Tiny Toon Adventures: Buster's Hidden Treasure, and Aladdin. Finally, we wrap things up nice and neat with some Vectorman to get you seamlessly exiting from the groove and back to your day. If you'd like to wrap up your year with some excellent tunes, check out past VGM volumes at the VGM Database! Now, let's not make these five new VGMs wait much longer! We start off the Genesis themed edition of SuperPhillip Central's Favorite VGMs with Gunstar Heroes, a perfect action game where you run, gun, and blow away seemingly endless swaths of enemies both soldier and machine. When this song kicks in, you know you're in for a treat, and that's exactly what Gunstar Heroes was. 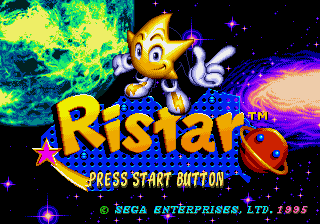 A previous edition of SuperPhillip Central's Favorite VGMs in what seems like ages ago showed the first "act", if you will, of the first planet of Ristar, Planet Flora's music. Now, we delve into the theme of the second "act", Dancing Leaves. Planet Flora is your traditional tropical themed world, perfect for enticing players into its atypical gameplay where Ristar grabs everything from poles to enemies to get around levels. 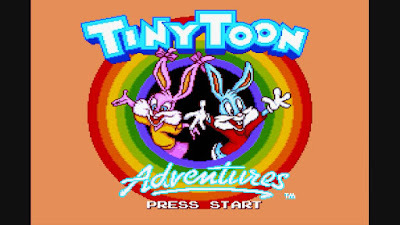 Played in both the first world of Tiny Toon Adventures: Buster's Hidden Treasure as well as the outdoor snow levels, this peppy and jaunty theme fits the platforming action of Buster Bunny. The game itself from Konami sports plenty of secrets, hidden levels, and lots of platforming fun for all ages. Definitely don't sleep on this title if you haven't played it, as I greatly prefer it to the Super Nintendo's Buster Busts Loose, also from Konami. "You ain't never had a friend like me!" This is the chiptune version of the song that Genie delivers to Aladdin upon the "street rat" discovering Genie's lamp and setting him free. What would you wish for if you had three wishes? SuperPhillip Central's Favorite VGMs would wish for more VGM goodness, but then again, this segment was always one of the more greedy ones on this site! 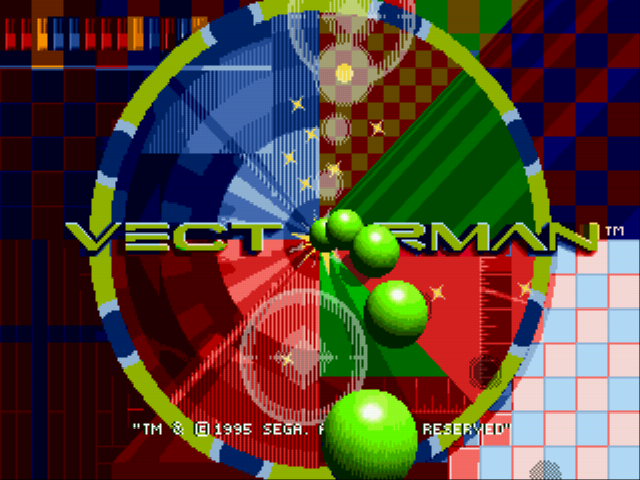 Vectorman saw two games on the Sega Genesis. 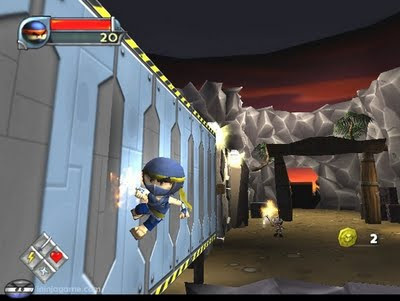 Both are action side-scrollers with plenty of platforming, robot destruction, and shooting. Inspired graphically by Donkey Kong Country (essentially being Sega's answer to that game in a visual essence), Vectorman isn't as fondly remembered as Rare's platforming trilogy, but it's still a blast to play from time to time.